The Centre is moving Supreme Court tomorrow against the West BengalGovernment under Mamata Banerjee obstructing the CBI from interrogating Kolkata Police Commissioner in relation to the Saradha Chit Fund Scam case. Live Law has learnt from reliable sources that Attorney General or the Solicitor General will make a mention before the CJI tomorrow morning itself for urgent consideration of the matter. 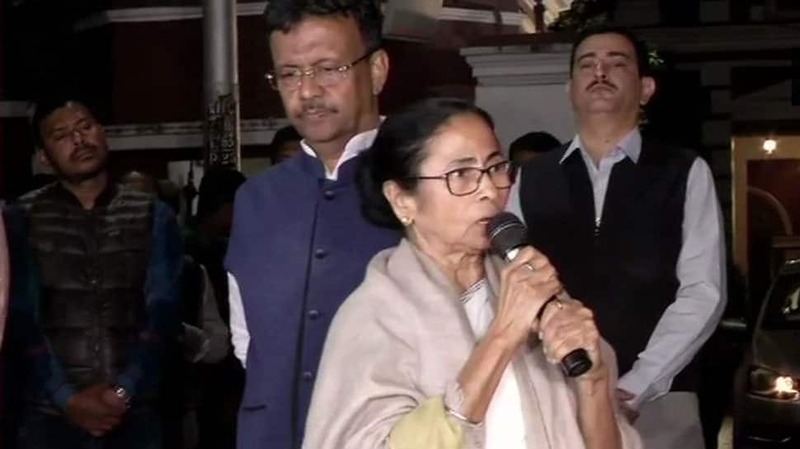 It was tonight that dramatic events unfolded in Kolkata when CBI officials who attempted to enter the residence of Kolkata police chief Rajeev Kumar for interrogation were detained by WB police. West Bengal CM Mamata Banerjee alleged that Centre was misusing CBI for political gains. She is staging a protest dharna at Metro channel area. "This is a constitutional breakdown. It is my job to protect my officers", she reportedly said. She added that CBI cannot enter the commissioner's house without warrant. In May 2014 the Supreme Court had handed over the investigation of Saradha chit fund case to CBI. Saradha Group raised money from lakhs of small investors through agents over last several years in West Bengal and adjoining States. Later, when the company failed to return the money, the scam came to notice of public and eventually the company owners and the top politicians allegedly involved in the scam were arrested. Trinamool MP Kunal Ghosh and the owner of the Saradha Group, Sudipta Sen, who allegedly shared cordial relationship with many TMC leaders, were arrested in the case.